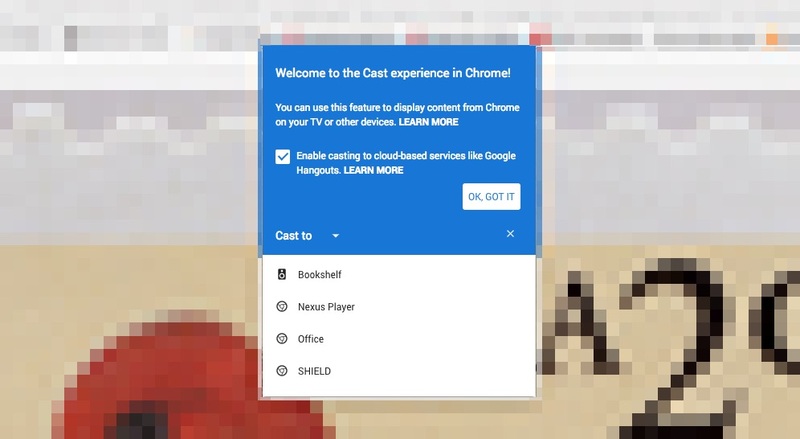 With Google Cast now built-in, all you need in order to Cast a tab to a TV with a Chromecast attached, is the latest version of Chrome installed. You’ll see a Cast icon up where your extension shortcuts are, plus a menu item for it has been added to Chrome’s overflow menu list. 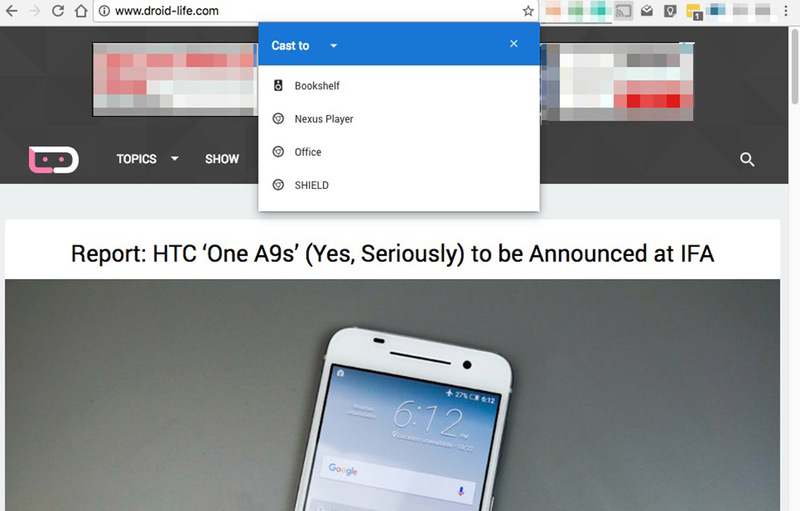 By clicking on the button or the “Cast…” option, a pop-up over your current tab will show which devices are available for Casting to. You can also decide via pulldown from within that pop-up if you want to Cast only a specific tab or your entire desktop. Finally, with this built-in Casting, Google has enabled Google Apps (business accounts) users the option for Casting tabs or desktops to Hangouts conversations. If you are signed-in to Chrome with your Google Apps account, choosing the “Cast…” feature will prompt you with a request for Hangouts access as well (see below). Again, the feature arrives today if you have Chrome installed. Enjoy.